It’s already well known that I like, to prefer domestic IT companies, domestic solutions, it this case ERP solution form company from Serbia IIB D.O.O. Domestic ERP solutions are often unfairly neglected. They were created in our premises, where the changes are more frequent and unpredictable, so they are easier to adapt and update, since they are “close” to the maker, and it should not be forgotten that the domestic producer has a great direct interest in adapting them, since his domestic market is the biggest buyer . They are unique solutions, where the solution variant does not depend on what the partner introduces. They are made in accordance with domestic legal regulations, introduced by experienced personnel who know them well. In the end, the money that is left in Serbia due to the sale of the license of the domestic solution. That is why, all these years, IIB insists on the sale, development, and introduction of “domestic memory”, which is the quality that users, including foreign companies, are able to recognize. 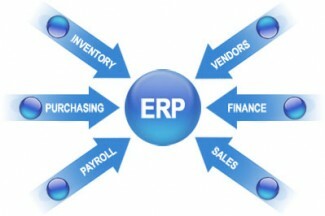 Enterprise IIB’s ERP software was built on the domestic market, which is successfully dealing with competition. What are his main trump cards? We usually remember Serbian minds only when he escapes from Serbia. Neither the sanctions nor the bombing gave Serbia so much a loss as the outflow of more than 200,000 brains that built their potential into foreign companies and took part in the construction of their brands. And when you see a well-known brand, you do not know whose work and the reason behind it stand: American, Chinese, Indian, or perhaps Serbian? What would be our fate that this knowledge and work created world brands in our area? Fortunately, some have remained, and in Serbia, several companies have emerged and survived, offering quality and competitive, and also authentic Serbian software. IIB was founded in 1990 as an information engineering company. The UPIS program was created several years earlier, but due to the lack of conditions for the establishment of private companies, it was sold as a copyrighted work. IIB, according to the founder of Dusan Bošnjak, “was created thanks to the forgotten Serbian method – mobi”. Established as a family company, it is still a “family” today, but a bit bigger, since its partners have over fifty members. From the beginning, the UPIS was a comprehensive (integral) software solution designed for establishing information systems in large enterprises. It incorporates the knowledge and philosophy of the work of large companies, which in practice proved to be very useful for companies that still need to become. Therefore, we can fully say that the UPIS is the first Serbian ERP solution. For more than 22 years, there is almost no activity in which the UPIS has not been introduced. Along with the richness of software capabilities, the experience of employees has grown, which today represent the most valuable resource of the company. After all, how many IT companies in Serbia have consultants and partners with more than 20 years of experience in establishing ERP solutions? Also, in time, a quality introductory methodology has been built that provides a guarantee that the system will be introduced in a quality and timely manner and ensures that IIB and UPIS are the leading teams in the successful implementation of ERP solutions on the domestic market. Although it was created as a software for the establishment of information systems in large enterprises, IIB modified the “big entry” (UPIS.Net) and made a solution for medium-sized enterprises (UPIS.Partner) and small enterprises (Mali UPIS). In this way, UPIS can be applied in companies employing from one to several thousand workers. UPIS.Net is a classic ERP solution that has the widest range of functionality and can be updated and parameterized according to user requirements. UPIS.Partner is also a parameterized solution, but with limited finishing. Small UPIS is a predefined solution that can not be upgraded, but it is one of the cheapest ERP solutions on the Serbian market and meets the needs of an average small business until it grows for more complex software. Since these three solutions have the same basis and differ only in the number of settings and permissible functionalities, customers can opt for some of the cheaper, and later switch to a more expensive and more complex version, at an additional price difference between the licenses. UPIS is one of the few fully integrated solutions on our market. This primarily means that the complete flow of products, goods, raw materials, services, and money is fully integrated with no redundant inputs and processes. 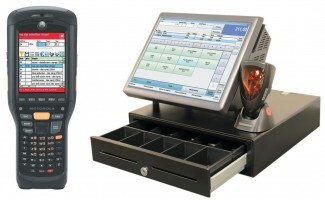 Furthermore, the software packages used as its upgrades are not separate solutions that “synchronize data with the ERP through the” rods and ropes “, but are naturally connected functional extensions of the unique information system. Therefore, there are no ERP errors associated with specific solutions from other suppliers. UPIS upgrades are UPIS. Kasa (complete management of retail operations, both in the background and in sales locations), UPIS.Mob (a handheld solution designed to work commercializes on the market for ordering and testing the market and optimizing the warehouse Business), UPIS. The Web (Internet Ordering) and UPIS.API (Data Warehouse – Business Intelligence Tool). The UIS offers simple B2B integration with other business solutions, and can also successfully connect to an external business management documentation Lobo DMS. UPIS is an information system based on documents whose life span is monitored by arbitrarily defined phases. Documents can be combined and interconnected to accurately streamline business flows even in the most complex businesses. Producers of business software learn from their clients and vice versa. The longer their software exists on the market and the more successful customers have, the more software will be more versatile and better. As a domestic solution that tackles the problems of the local market as well as the problems of the surrounding markets, UPIS is dealing with the world’s largest solutions. Upis works in 130 companies with 3000 users in Serbia and the wider region, the Adriatic Region. PS: I didn’t get paid for any kind of promotions. This is purely patriotic!